What started as a small-business in 1992 is now a successful multi-million dollar company. Not only was Baths by Design an unknown store, but the product sold was not familiar to the local consumer. The showroom has doubled in size since 1992 to it's current 3400 square feet. Baths by Design's long and secure standing with their suppliers, privileged buying power and extremely low overhead costs assure the client the best price and quality in the industry: "With high volume sales it increases our buying power and that's what we built our business on - giving value. The best product for the least amount of money." Products are C.S.A. approved and bear the best warranties in the business. *KOHLER Registered Showroom* We are one of Canada's largest distributors of products for the construction industry and have been in business for over 110 years. The Ensuite strives to satisfy the needs of its customers with a focused product assortment, transported and sold through an extensive network of branches, distribution warehouses and showrooms across Canada. We are committed to being recognized by our customers as the "DISTRIBUTOR OF CHOICE" in the construction market. The Spectrum Cabinet Gallery Inc.
Kitchens and bathrooms are the most renovated rooms in any Summerland home. Storage is a top concern in these rooms, so hiring Summerland, BC professionals to create and install custom cabinets in your home can be key to expanding your spaces and controlling clutter. Use the Houzz Professionals listings to find Summerland, BC kitchen and bath accessory vendors. 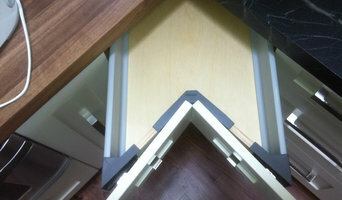 Don’t rule out asking a kitchen manufacturer’s design team for help, too. Skills often can be overlapped to save you time and money! Here are some related professionals and vendors to complement the work of kitchen & bath fixtures: Kitchen & Bath Designers, Kitchen & Bath Remodelers, Interior Designers & Decorators, Cabinets & Cabinetry. Find kitchen and bath fixtures and accessories, plus installation experts, on Houzz. Check out British Columbia kitchen products and installers, and bath plumbing products and installers, on Houzz. 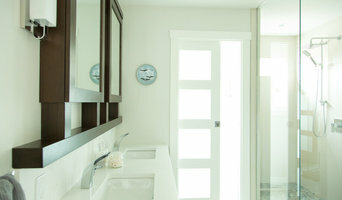 You can also look through project photos provided by Summerland, BC renovators, retailers and designers.